The Pumphouse is one of the oldest restaurants in Acharavi, as it opened its doors in 1961. The Pumphouse was originally a traditional cafe and a meeting place for the locals, even before the flourish of tourism on the island. The restaurant took its name from the pump house opposite this place and from where villagers used to fetch water in the past. In 1986, the family of Georgos and Spiros Salvanos bought the restaurant and in 1996, the restaurant was expanded and refurbished. Today, the Pumphouse is a spacious restaurant that can host up to 300 guests at a time. 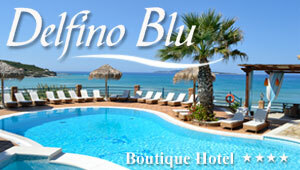 The restaurant is open all year round and offers a nice selection of Corfiot specialties. There are also few popular dishes that reflect modern Greek cuisine and few international dishes. There is a wide choice of hot and cold Greek appetizers and seafood starters, as well as pitta bread served with an incredible variety of Greek dips. The list of dishes includes, among others, zucchini balls, youvetsi, cheese pies and meat balls and mushrooms in garlic sauce. The restaurant also offers a big variety of grills, served with chips and traditional sauces, like tzatziki. There are plenty of options for vegetarians, too. Vegetarian moussaka, stuffed tomatoes or peppers, a choice of fresh salads and risotto with mushrooms are some of the items on the vegetarian menu. Fresh and locally produced ingredients are used to prepare dishes under the supervision of experienced cooks. The well-stocked bar at the Pumphouse has as extensive wine list, which includes some of the finest labels. And that's not all: there is live music and dancing to entertain guests in the evenings.